Festival Award Winning Film Director"
The Marcus Aurelius Film KUNG FU BROTHER"
Untitled Action Script is an Action Comedy that opens in a Museum of Antiquities. Thailand. A couple of GUARDS react to a triggered alarm in the basement. They run downstairs. There doesn’t seem to be anyone there. Then, they notice that one overhead light seems to be out. Invasion Of Angeles City” is an action, suspense, horror, that profiles a “Spring Break” chance encounter with an Alien Invasion! A mixed martial arts (MMA) team from LA uncovers a sinister alien invasion of our world and has to fight for their survival. Harmony Run” is a film about the racially and socially diverse basketball life on the West Coast. A sunny afternoon at Lincoln Park exhibits a high intensity basketball game. The Jihadist's Wife" is a modern day telling of Romeo and Juliet; however, in place of the Montague's and the Capulet's, we have Islam at odds with Christianity. 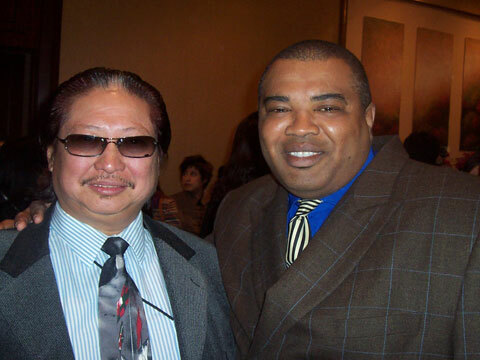 HBO along with Urban Action Network Premiered "KUNG-FU BROTHER" at New York's AMC Theatre in the famed Time Square! Watch the video of Marcus Aurelius signing his first Distribution/Output deal regarding "KUNG-FU BROTHER" with TriCoast Worldwide. 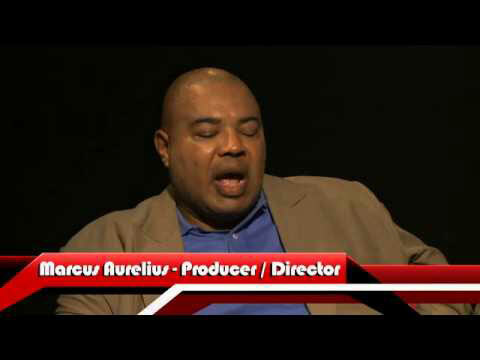 Marcus Aurelius has been tapped by Joseph Collins to Write/Produce and Direct 13 episodes of an Action/Horror T.V. series to be shot entirely in Thailand and the Philippines for the Punch T.V. Network. 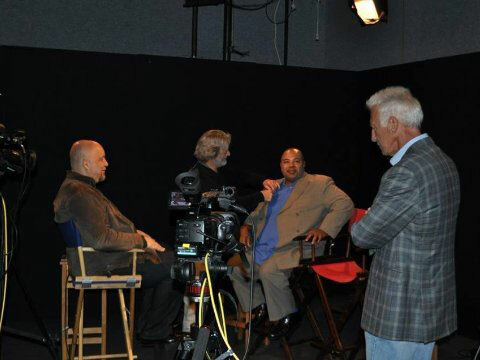 Director Marcus Aurelius discussing the challenges of Diversity in Hollywood with Del Weston On Film for the Action On Film Network. "Top 100 Independent Film-Makers In The WORLD!" This book rated Marcus Aurelius #15 in the WORLD!. Del Weston cheers the film director to keep chuggin on! J'Dore Magazine features Marcus Aurelius in a full 2 page article "What's in a Name" written by Laura Turner. 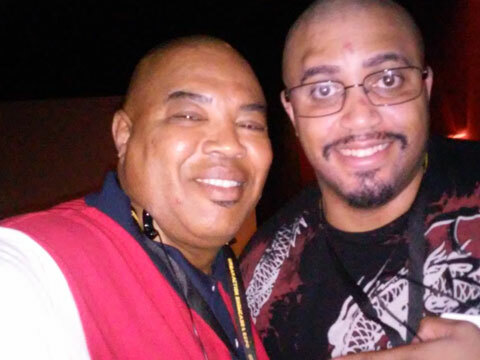 R. Marcos Taylor and Marcus at the HBO/Urban Action Network after-party. 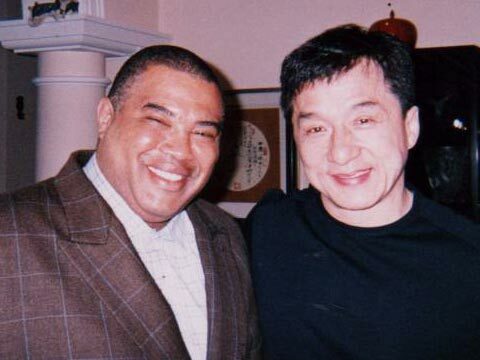 Jackie Chan and Marcus at his home in Hong Kong relaxing after a late dinner. 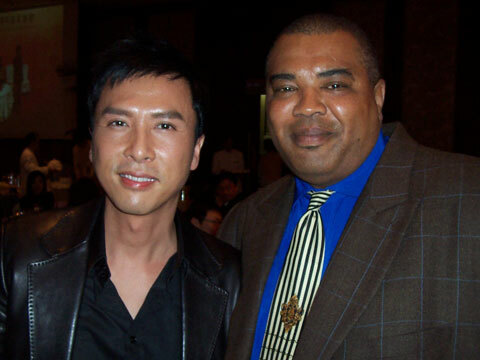 Bey Logan , Lynn Hung "Star of IP MAN". published in the China news paper. 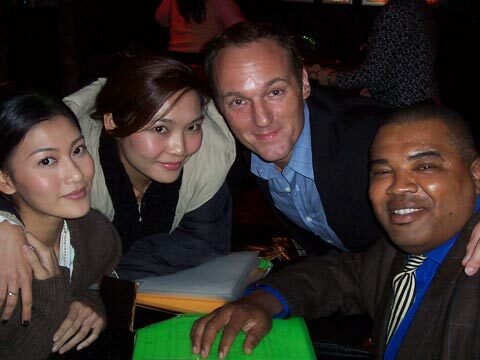 Bey Logan and the stars from the movie "Twins Effect" at a karaoke bar in Hong Kong. 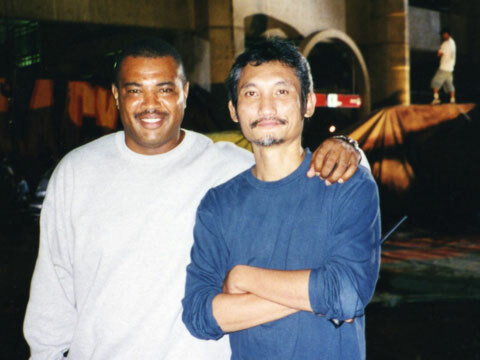 Marcus and Sammo Kam-Bo Hung in Hong Kong. 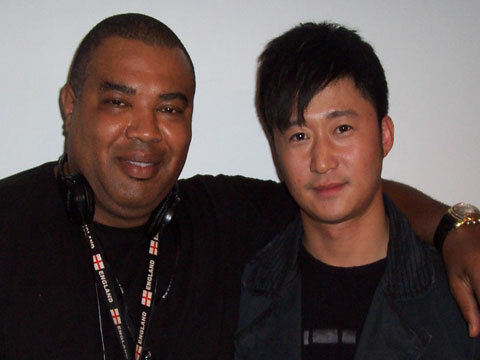 Marcus and Wu Jing having a good time hanging out. 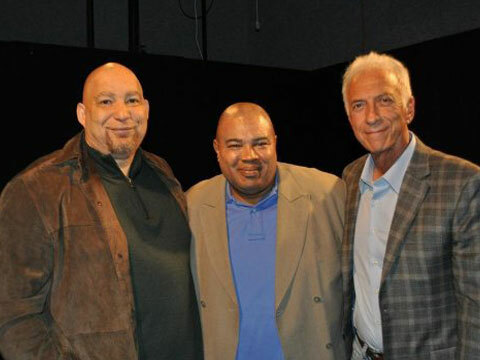 Marcus, Del Weston and Mark Giardino. Marcus Aurelius’ combat comedy KUNG FU BROTHER kicks its way into UK as three cops and a female reporter go in hot pursuit of an assassin whose quest is to acquire the Sacred Kuji Denjo Scrolls. Copyright © 2017 marcus Aurelius - All Rights Reserved.